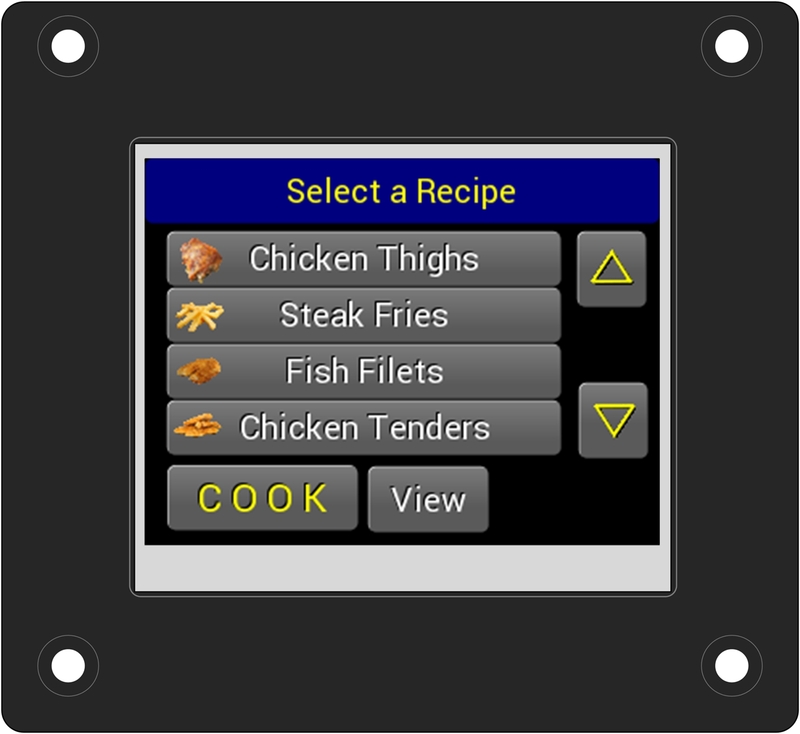 The 5400 controller provides all the input, output, and control methods needed to manage any cooking application. The OEM can configure the input sensor types, the type of control method used (on/off or PID), and the outputs used for controlling the cooking temperature. All of the 15 recipes have configurable alphanumeric names to assure proper recipe selection by the operator. When testing the appliance in manufacturing or servicing it in the field, the 5400 allows the proper password to access windows that show the states of all the inputs and outputs and to manually drive the outputs, the controller history including all configuration changes, sensor input alarms, total running hours and the total cooking hours. The unique flexibility of this controller extends to customization of the user interface and operation by Artisan for the OEM’s application needs. Artisan can modify the firmware to allow the OEM to choose the color schemes, display the company logo, lock some or all of the configuration to prevent errors in factory and field installation, and to use the two switch inputs for additional functions such as door and filter guard alarms. Operators manual is available on our Support page. Temperature Accuracy ±3°F or better. Temperature Input 100 Ohm RTD or J thermocouple. Output Two 10A relay contacts, Two 5VDC DC for SSRs.